(transitive) When someone assumes control and is in charge of responsibilities, people, or duties. To begin to do something that someone else was doing. The leader of my group left, so I decided to take over. I have decided to take over the business now that my father has retired. You look sick, you should go home. Don’t worry, I’ll take over for you. The company was taken over by an experienced businessman. The government was taken over by the rebel forces. Our company has been taken over by a British conglomerate. 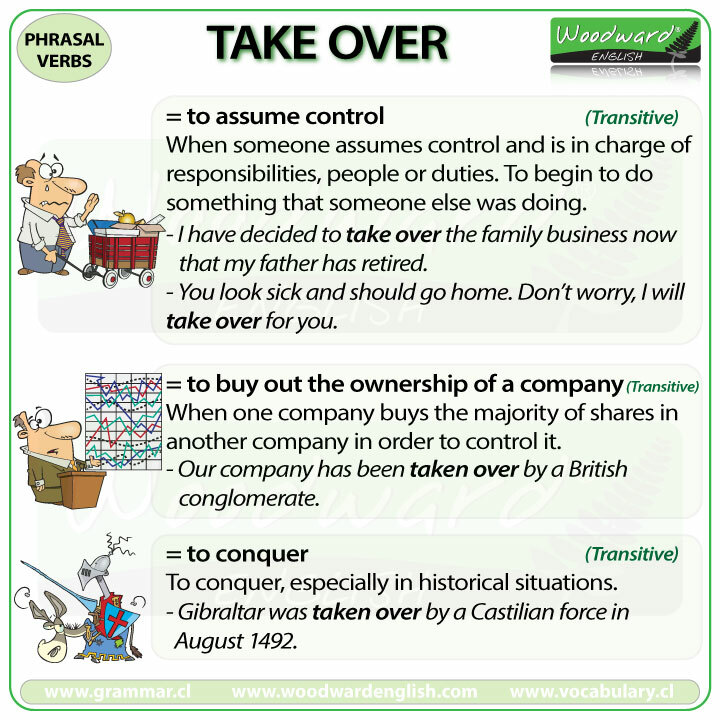 (transitive) Take over can also mean conquer, especially in historical situations (a king taking over another country). Gibraltar was taken over by a Castilian force in August 1492.